Everybody is prone to the occasional error, even professional certified public accountants. Some tax errors are more serious than others, but most will wind up costing you money. For you to optimize your taxes and be able to minimize your tax obligations, you will have to avoid such errors. 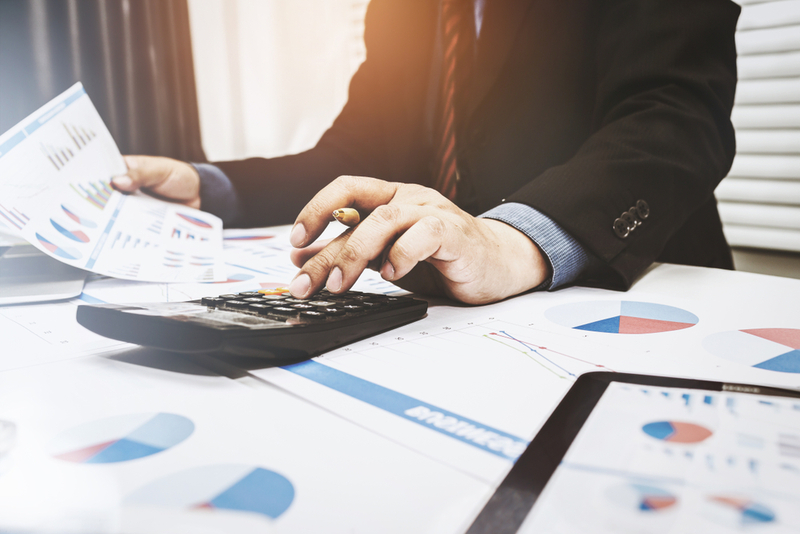 In today’s blog post, the certified public accountant at Jeff Pickering, CPA will look at the five most common tax mistakes committed by those who file their taxes on their own. These are mistakes that will cost you money, so eliminating them is crucial. Far and away the most common errors among novice DIY tax filers are incorrect calculations. Most of us aren’t math experts, so it makes sense that we might flub on our math. This is why Jeff Pickering, CPA will always recommend going with a certified public accountant for your tax needs rather than doing it yourself. This ensures that you have a professional crunching your numbers. Another common mistake is simple errors like misspelled names, changed names, or even forgetting to include your social security number. While the IRS cares far more about numbers, having the wrong name on your forms will slow down the process and could even result in the need for an extension. These problems are most common in new wives who change their last name after marriage, but simple misspellings and typos can also be the cause. For others, especially those who have recently become single, married, independent, or gained dependents, an incorrect filing status is a common error. This is an easy fix for a certified public accountant because it is among the first things examined during this process. If you have recently married or even just become an independent, your status might be different. If you have recently divorced, you might be filing as the head of household. These errors are easy to spot but are often missed. These are a little bit different than math errors because they are more about misreading numbers. Even certified public accountants have been susceptible to this error because it is hard to recognize in real time and makes the process of calculating your entries that much more important. This is the ultimate mistake of the procrastinator. It’s easy to let tax season sneak up on you, but when that happens, there is no guarantee that you will be able to get the information you need fast enough to make up for that lost time. It’s important to identify the deadline early, do the work early. As always, hiring a certified public accountant will help you do that. Doing your taxes at home might seem easier, but when you are looking at a tax entry full of errors, it’s all of a sudden a lot more difficult. At Jeff Pickering, CPA, we would like to help. Give us a call today at (972) 378-5200 or email us for more information. The offices of Jeff Pickering, CPA are located in Plano, Texas. We offer tax consulting and preparation services, financial accounting and start-up services for individuals and business. Any accounting, business or tax advice contained in this communication, including attachments and enclosures, is not intended as a thorough, in-depth analysis of specific issues, nor a substitute for a formal opinion, nor is it sufficient to avoid tax-related penalties. If desired, (Firm) would be pleased to perform the requisite research and provide you with a detailed written analysis. Such an engagement may be the subject of a separate engagement letter that would define the scope and limits of the desired consultation services. All content © 2018 Jeff Pickering, CPA.